Answer a few questions and view jobs at Postmates that match your preferences. Postmates operates an Urban Logistics platform that connects customers with local couriers who can deliver anything from any store or restaurant in minutes. Postmates' riders and drivers are currently delivering in 40 major US cities. Its services are available for iPhone, Android and on the web. The company was established by a team of engineers, designers, operations and growth specialists in 2011 in San Francisco, CA. Postmates is transforming the way goods move through cities, allowing anyone to receive something on demand. Our revolutionary Urban Logistics platform connects customers with local post offices that can deliver anything at any store or restaurant in minutes. We empower communities to buy places without waiting, and empower companies through our API to deliver delivery. Postmates pays 100% of employee medical, dental, and vision insurance premiums, provides necessary work equipment, generous stock option plan, competitive salary, great colleagues and management. Do You Work At Postmates? why do you work for Postmates? I like having no boss, no coworkers and extremely limited interaction with the customers. I like to be able to spontaneously walk off the job on a bad day and still be able to come to work the next day. I like being immersed in food culture. I like to be able to work 14 hours in a day because I suddenly realized I'm gonna need an extra $75 in five days. I like that no two days are the same. I like being able to take time off without having to ask anybody, and to be able to take a sick day without having to feel guilty or wonder whether people think I'm faking it. I make more money doing Postmates than I have at any other job and I also willfully work more hours. It's just an all around better situation for me. When I look at my hourly wages it's not so hot, but I'd rather be happy for 13 hours a day than pissed off for 8 hours a day if the pay is the same in either scenario. I love the last sentiment. I had a much higher paying job, but I was completely miserable. I work more hours now, but I'm happy to work them and be out in the world. Cash tips are the best! Jimmy John's in my area only taxes you at minimum wage which is $7.25 here. They pay you $6.50 plus a $1 a delivery. Essentially all your tips are tax free. I hate my tips getting taxed for real. I guess if I was trying to buy a house and I needed to show more income It would be ok. I could report tips on my own if that were the case. Compared to other industries restaurant workers make pennies. My previous delivery gig at a divey pizza shop did the same. Taxed for $7.50! Cash is king! I've done everyone position in a restaurant starting as a dishwasher in the 90's. I was managing a Thai restaurant and needed a break from people and dealing with the owner. I saw these new IC gigs as a escape and thought I'd give them a try. If I really could average $20hr after expenses (not the case)....it's just temp work for me. I've delivered off and on for the last 20 years. Even though carrying a wad of cash isn't good now... I mis getting off work with cash every night. I started doing Postmates to have supplemental income. In a few weeks I got enough to buy a second car on cash. It's a Prius. I had been delivering in my Mercedes and the gas did not make much economical sense. Today I am getting the Prius so I will start again and I believe I will be making an additional $4K a month from Postmates. I have a full time job so I don't have all the time in the world but I can work on weekends and at nights. Most of my week will be dedicated to making money and it will pay off. I don't have any debt so all the money goes in my pocket. I tried UberEATS too but Postmates is more money than UE. UE does not have a reasonable payout and tips are almost nonexistent. Postmates will make you more hourly. What is the building you work in like? How to I become a support operator? I'm a fleet driver. How to I become a support operator? What are the duties of job support? What are the duties of job support? Do you place orders? Where do you work out of? City, and is it home or postmates office? Just general customer service by phone and email. We don't place orders, we have offshore agents specifically for that. I work in Nashville, but Postmates is mainly based out of San Francisco. How Would You Rate Working At Postmates? Are you working at Postmates? Help us rate Postmates as an employer. How Would You Rate The Company Culture Of Postmates? Have you worked at Postmates? Help other job seekers by rating Postmates. 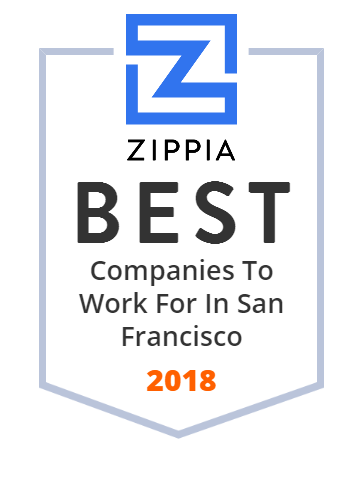 You can find out what it is like to work at Postmates, also known as POSTMATES INC, Postmates and Postmates Inc..
Zippia gives an in-depth look into the details of Postmates, including salaries, political affiliations, employee data, and more, in order to inform job seekers about Postmates. The employee data is based on information from people who have self-reported their past or current employments at Postmates. While we have made attempts to ensure that the information displayed are correct, Zippia is not responsible for any errors or omissions, or for the results obtained from the use of this information. The data presented on this page does not represent the view of Postmates and its employees or that of Zippia.